Practical energy efficient construction to accommodate our future needs, BecoWallform Insulated Concrete Formwork is designed to offer a range of performance standards to suit all building applications. This monolithic, insulated concrete formwork system of building is quick to construct yet offers levels of performance significantly better than available from slower, more traditional approaches to building. 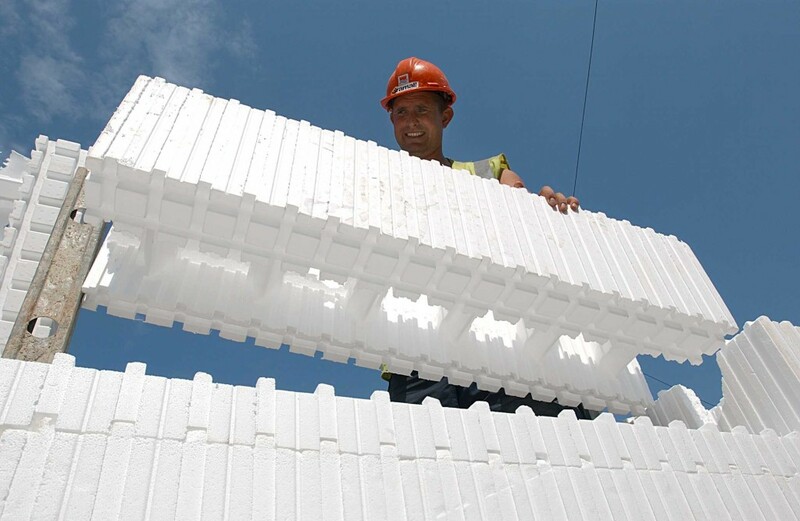 An insulating concrete formwork (ICF) system, BecoWallform is based on large hollow lightweight block components that lock together without intermediate bedding materials to provide a formwork system into which concrete is poured. Once set, the concrete becomes a high strength structure and the formwork remains in place as thermal insulation, with U-values down to 0.11 W/m²k – ideal for zero energy buildings. There is a range of concrete core thicknesses for different structural applications and the connecting ties in the Wallblocks may be integral insulation or steel to suit the individual project specification. The building process is quick, tidy and precise, with lower labour and equipment requirements than alternative methods. 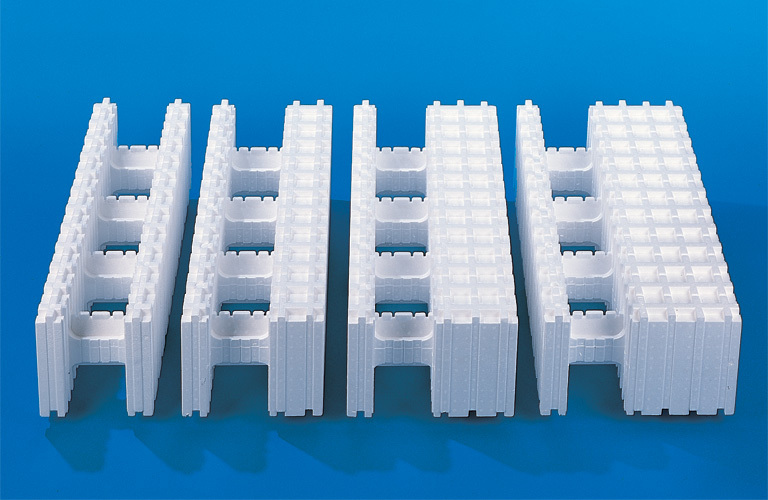 Creative design (without compromising performance) is encouraged by the availability of a comprehensive range of components, which is further enhanced by the built-in option to incorporate reinforcement for basement and multi storey projects. The flexibility of building with in-situ concrete makes it more practical to co-ordinate BecoWallform with other products and material systems (different types of floors, roofs, windows etc) and the need for specialised accessories is minimised. Originally developed and patented by isorast in the 1970’s, this insulated concrete formwork system has been progressively improved and developed to satisfy the very best worldwide standards of energy efficiency and the recognised need for improved building techniques. Isorast constructions (aka Wallform) in the United Kingdom have an established track record of over thirty years’ performance and have a long life expectancy. As a highly insulated structure, BecoWallform may be clad internally and externally with a wide range of finishes, including plaster, masonry, curtain walling and render systems.